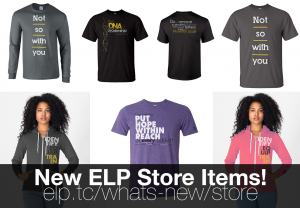 December | 2013 | What's new with ELP? We are so excited to announce that our next ELP Revolutionized Leadership webinar is scheduled for December 20th at 10am. We do this monthly training for Teen Challenge staff and students all over the country. This is a great place that you can get valuable information on how to lead better and also get to interact with other leaders around the USA. We love to welcome Teen Challenge staff, interns, students and also anyone interested in joining us for leadership training!